Water bath for flattening out and drying tissue sections in histology, pathology, chemical, clinical and bacteriology laboratories. 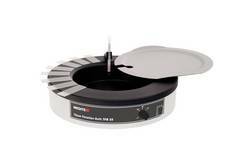 The TFB 35 has a deep, removable glass tray and is available in two versions. Circular water bath with exact mechanical temperature regulation. Its bath well and edge are made of high quality aluminum with black coating. 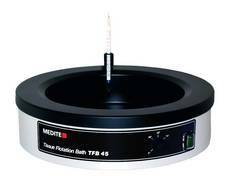 The TFB 55 provides a circular water bath with exact mechanical temperature regulation. Its heated bath edge is extra wide for drying and flattening out of tissue sections.